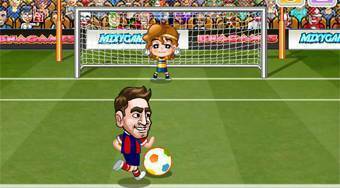 Do you like Barca Goal 2? Share it with your friends. Barca Goal 2 - kick penalty kicks with the star trio MSN of FC Barcelona and always try to score as many goals as possible.